I always love the Zebra stamp on the Konad plate m57 - it's always crisp and perfect. The base is Essie Blue Rhapsody, a perfectly blue metallic color. 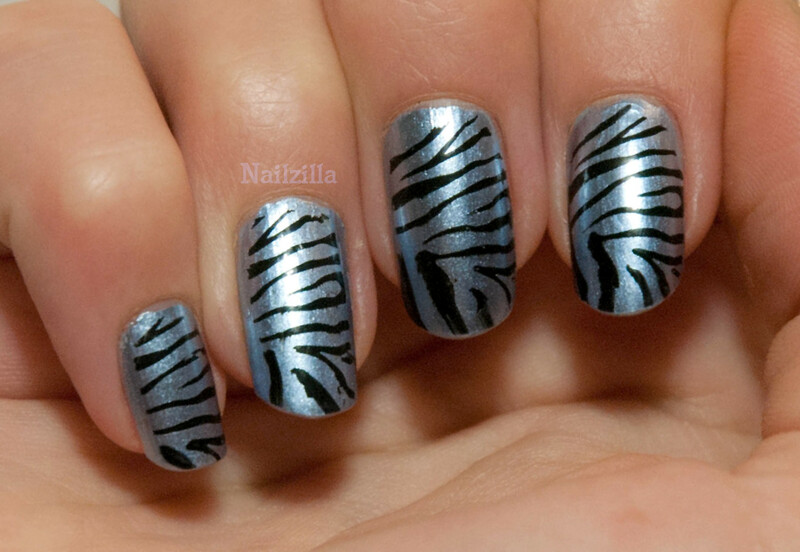 There's never a season without Zebra nails! What's your favourite Konad/stamping plate? oh, beautiful! 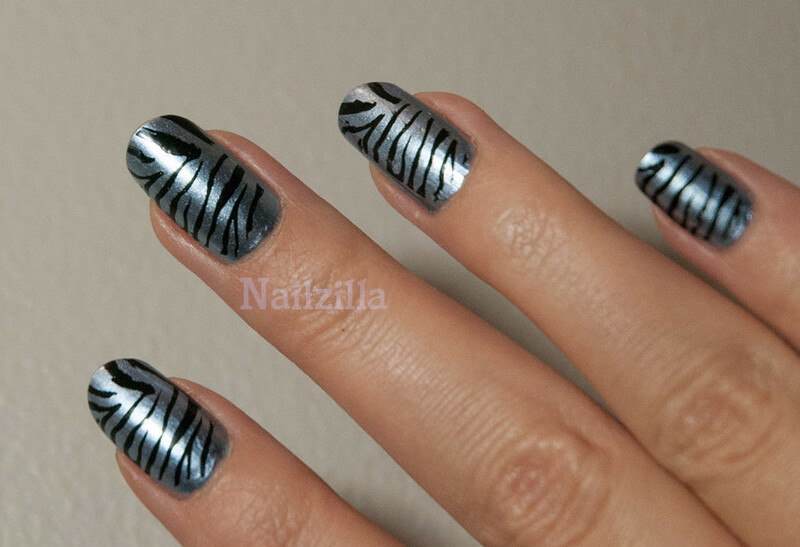 stamping is one of my favorite things for nailart. I have the second set of Bundle Monster plates and there's one that I use a lot, a delicate full nail print (the one I used in my mint green gradient on my blog).